By Alex Marcondes. Sep 12, 2015. 9:00 AM. 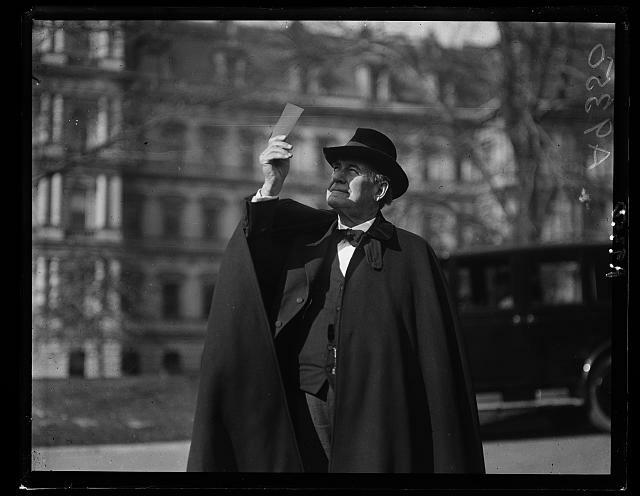 "Mencken is himself 'a lyncher' since he once proposed to take William Jennings Bryan 'to the top of the Washington Monument...disembowel him and hurl his remains into the Potomac.'" From the start of H. L. Mencken's popular career, beginning with his summary of Friedrich Nietzsche's philosophy, Mencken's ideological roots were obvious to any discerning reader. His ideals required only a basic knowledge of the company he kept and the authors he idolized. While his style is permeated with raw wit and uninhibited ridicule of those he felt were beneath him, Mencken was a force, in more ways than one. He was formative in an early understanding of vernacular American English, a foremost literary critic in his time, and a champion of women's rights (even while being entirely unsympathetic to suffragists in his news coverage). He also popularized a social-Darwinian reading of Nietzsche that lasted through much of the twentieth century. "The principal personage is a bounder typical of those parts — a fellow who seems to know every one and yet remains unknown to all — a young man with a great deal of mysterious money, the tastes of a movie actor and, under it all, the simple sentimentality of a somewhat sclerotic fat woman." Mencken gives no praise whatsoever to Fitzgerald's characters or story, and in fact, he mercilessly ridicules these elements. However, he gives high regard to Fitzgerald's advancement in stylistic prose. Remembering that The New Republic described many of the poems in Fitzgerald's first novel, This Side of Paradise, as sounding, "like the phantasies of a metaphoric weather bureau with a penchant for eternally predicting rain," Mencken subsequently writes of The Great Gatsby that, "the sentences roll along smoothly, sparklingly, variously," and that, "it is a quite new Fitzgerald who emerges from this little book, and the qualities that he shows are dignified and solid ... 'The Great Gatsby,' a far inferior story at bottom, is plainly the product of a sound and stable talent, conjured into being by hard work." Of course Mencken is most notable for his critical take on current events. His coverage of the Scopes trial in Tennessee engendered its now famous visage as the "Scopes monkey trial," portraying the events as a situation where a group of reactionary conservative Christians disallow the teaching of scientific doctrines that seem to threaten their own. The New York Sunday Times' anecdote at the top displays Mencken's typical polemical tone as he threatens to rather brutally humiliate and kill William Jennings Bryan, a chief witness in the Scopes trial who advocated heavily on a national scale for the banning of the teaching of evolution in public schools. We might be more sympathetic now to those regarded as so low by Mencken, noting that their socio-economic situation and culturally ingrained Christianity lent more to their attitudes towards scientific education than closed-mindedness or any desire to squelch scientific progress. Regardless, this sort of reporting has had a lasting effect on the approach to satirical coverage that is abundant in today's news outlets. 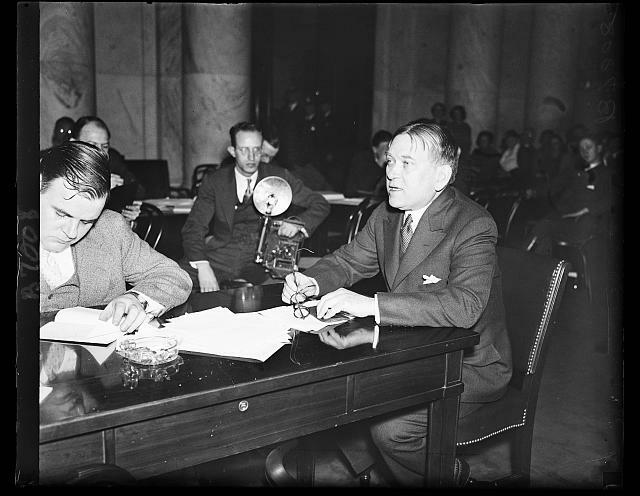 The elitism present in Mencken's reporting of the Scopes trial was not unusual of his writings, neither are the roots of this disposition untraceable. The influence of his most popular early work, The Philosophy of Friedrich Nietzsche, cannot be dismissed: it is was formative in both his style and his ideological background outright. Mencken, informed by the popular "anti-Semitic Nietzsche" conspiracy perpetrated by Nietzsche's sister shortly before his syphilitic death in 1900, advanced a variety of misreadings that Walter Kaufmann, chief Nietzsche scholar in the mid to late twentieth century, spent much time rebuking. * Among these misunderstandings was an express elitism that was evident throughout his news coverage. Mencken was never short of criticism for the reactionary and weak, seeming to fully expect their social-Darwinian removal from society. "The newly enfranchised women of every [Protestant country] cherish long programs of what they call social improvement, and practically the whole of that improvement is based upon devices for augmenting their own relative autonomy and power." "... not a profound thinker, not a leader of sound opinion, not a man of notable sense, but merely a wholesaler of notions so infantile that they must needs disgust a sentient suckling--in brief, a spouting geyser of fallacies and sentimentalities, a cataract of unsupported assumptions and hollow moralizings, a tedious phrase-merchant and platitudinarian, a fellow whose noblest flights of thought were flattered when they were called comprehensible—specifically, a Wilson, a Taft, a Roosevelt, or a Harding." We can see that instead of championing the weak, he instead seems to advocate for the taking of power as such, a position clearly informed by his Nietzschean ideological roots. 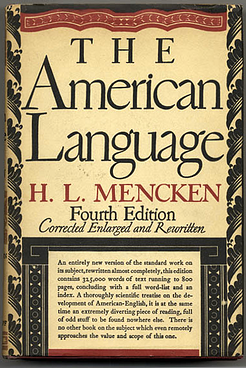 Oddly enough, however, Mencken's most significant work, The American Language, defended American vernacular English, fending off the prescriptive grammar of the academics in the States and in England. In it he writes that the novelties of American English, "make the language more vivid and expressive." Mencken's value for us now lies primarily in his style. Permeating wit is something we cherish, especially when it is employed in social criticisms. Satirical news programs provide evidence for this more than anything else. Informed by a self-professed idolization of writers such as Kipling and Thomas Huxley, his insight into the quality of literature contemporary to him are likewise invaluable: Mencken's personal relationships with literary giants provided him with a window into those authors' works not afforded by anybody else. Though his ideological shifts towards the end of his career may drive us away, stylistic appreciation is never something to be taken for granted. * As a history of philosophy aside: Nietzsche's lack of anti-Semitism and indeed his revulsion at such doctrine is never more obvious than in his works The Antichrist, Ecce Homo, and Nietzsche contra Wagner. Kaufmann's treatment on this topic relies especially on these later Nietzschean texts.